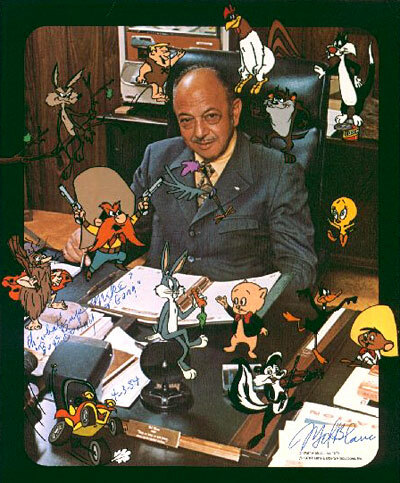 Cartoon Brew posted the cover of this record, so it’s a good time to rerun our MP3 of this great speech by Mel Blanc. Enjoy! There’s one aspect of animation that I haven’t dealt with much yet- Voice Acting. My own research in this area is pretty limited. I hope sometime in the future, a specialist in this field will contribute their expertise to the Archive to curate this important aspect of cartoon filmmaking. But that doesn’t mean that we don’t have any interesting material dealing with voice acting at Animation Resources. Eric Graf stopped by with a wonderful treasure the other day… An LP record pressed by the production company of legendary voice actor, Mel Blanc. It’s a recording of a speech by Blanc at the 1966 Annual Awards Luncheon of the Station Representatives Association. 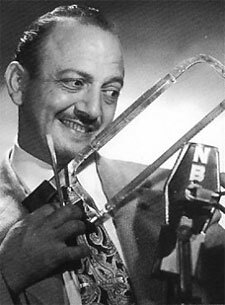 Titled “Mel Blanc Takes A Humorous Look At Commercials: Past, Present and Future (Who The Hell Is Mel Blanc? )”, this record is a hilarious glimpse at both the advertising industry and a little known aspect of the career of one of the most famous voice actors of all time. Thanks for bringing this by Eric!